Under the direction of Coach Mike Hurley, former Division 1 Coach at Lafayette College, campers will learn all facets of the game- dribbling, passing, shooting, offensive & defensive game strategy. Learn skills in a fun, non-competitive environment. Players will receive professional instruction and focus on skills such as dribbling, passing and shooting in a fun atmosphere. Players will learn new skills through fun games. The select difference- all coaches are certified teachers with soccer experience and coaching licenses. This popular program fills fast! Coach Wayne Ramsey and his staff will prepare you for the fall season. 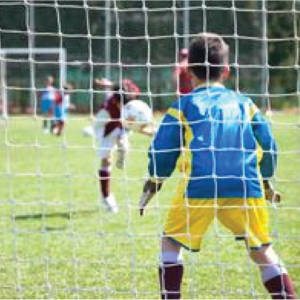 Camp is designed to promote self- confidence while performing in the goal. 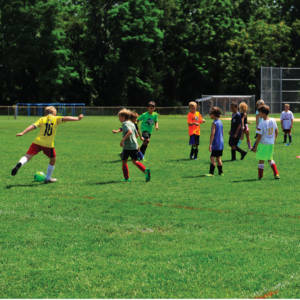 The curriculum includes techniques on stance, catch, hand and feet distribution, extension saves, collapse saves, handling balls, parrying defending crosses & high balls, breakaway stops, boxing, positioning play & communication. Many of our keepers develop to be ODP, Academy, high school and college players. This camp is a fun but competitive 4 days of professional training for the soccer players who have a strong desire to learn to train to be the best he/she can be. 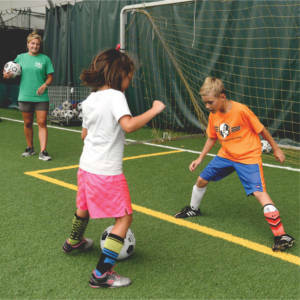 Curriculum offers individual skill development and functional training for your specific position, and games to round out a great day of soccer. Wayne Ramsey, Director of the camp, is a former professional player, coach and Division 1 Soccer Coach. Limited space- sign up today before you are left out!